I am SO excited to announce the launch of my partnership with Sealed With A Kiss Designs! 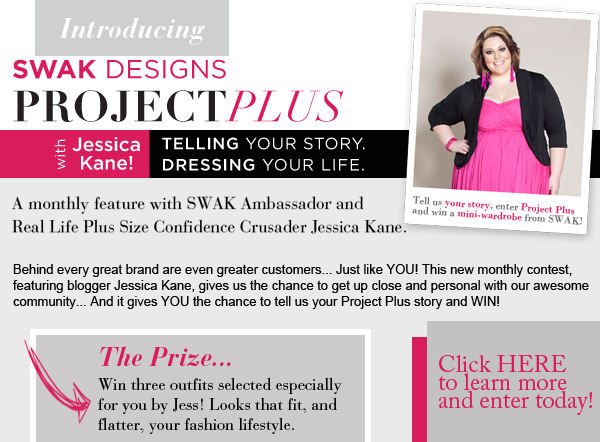 Project Plus is a monthly feature and contest where we hear your stories and a lucky gal wins a mini-SWAK-wardrobe picked out by me. What I love most about this project is that I get to hear YOUR stories and I want you to share with me. To kick off the contest, we decided to launch by giving mom's a chance to share and win. Being a mom myself, I know we always put ourselves last and most mom's spend extra money on our children's wardrobe...instead of ours. So, now's your chance to share and win with Project Plus! Click graphic below to enter! And, here's the photoshoot I had teased to a long time ago with SWAK! These are my style picks for the feature. Thank you so much to the SWAK team, you made the day amazing. Love these styles? 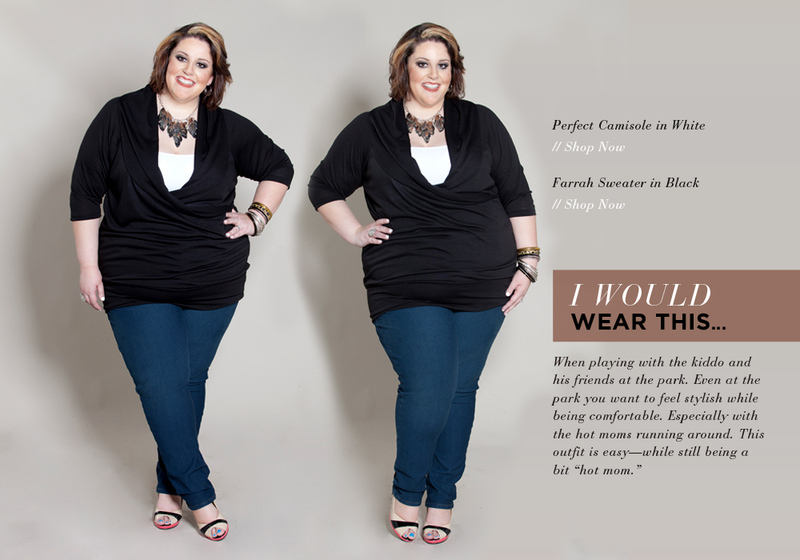 Enter to win with PROJECT PLUS! Click here to share and enter to win.